Learn along with me as I explore new creative ventures! It has been way too long since I posted a project, but life has been majorly crazy the last few months. As mentioned last year, I’ve been planning a move to Colorado for a while now. We’d planned to put our house on the market the first of March. In January, we staged our house in preparation, which meant most of my craft supplies had to be put in storage. In early February, a passerby saw our coming soon sign and asked for an early showing. And he bought it! We were under contract a full month before our planned market date, and we closed on March 30th. Unfortunately, I’ve technically been homeless for the last month. I’m currently holed up in my in-laws’ vacant condo, and all of my supplies remain in storage. But there is light at the end of the tunnel! I’m traveling out to Colorado this week to find a new home, and the current plan is to be settling in somewhere mid-June. One of my main criteria for my new house is ample and well laid out space for all my creative adventures. I can’t wait to be filming again! In the meantime, I’m down to two older videos. 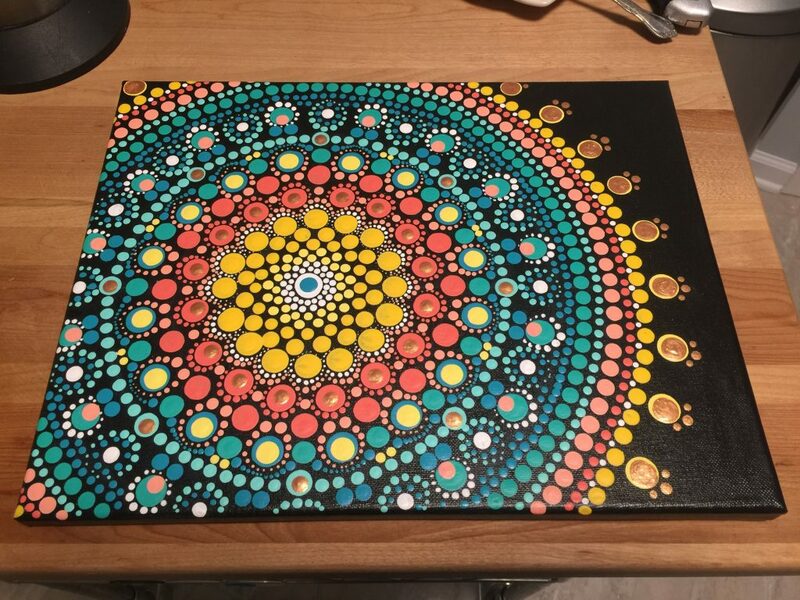 I thought today I’d share my second dot mandala painting. I filmed this back in September, and I love how this one turned out! And in fact, I sold it within just a couple of days! I sold my first painting! One day, I’ll film a video on how I finish paintings with varnish, dustcover and hanging wire. I used a similar color scheme as my last mandala painting, and I used the same tools. This was painted on an 11″x14″ canvas prepped with a coat of black acrylic. All of my supplies and paint colors are listed below the video. Hey, y'all! My name's Rachel, and I am craft junkie. Software product manager by day, and cake decorator by night, I am constantly allured by creativity. Every emerging craft, each imaginative idea consumes me until I can say I've tried it. 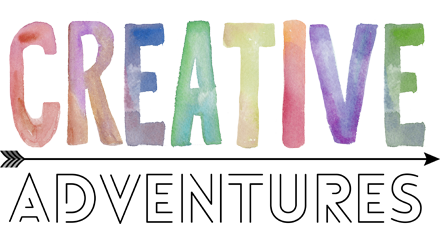 Join me here at Creative Adventures where I master the crafts near and dear to my heart, passing along the knowledge I've gained through trial and error. And learn along with me as a tackle the latest and greatest crafty ventures to pique my interest!